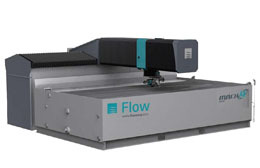 Our 5 axis Flow Mach 4 with dynamic XD head is the forefront of waterjet technology. 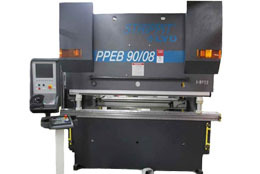 Produces no Heat Affected Zone, no distortion or mechanical stresses. With 94,000psi cutting power we can cut virtually any material to net or near net shapes. The Mach 4 technology allows it to cut up to 50% faster than conventional jets. 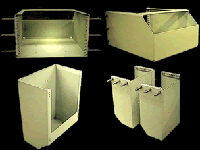 We can use your CAD files for faster set up and turnaround. Cuts are accurate to within ± 0.003" repeatability of ± .002 and angles ± .5 degrees. 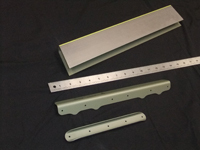 Precision cutting and "parts nesting" provides optimum use of materials, thereby reducing scrap and cost per part. VIDEO - Watch a video demonstration of our 5 Axis Waterjet in action! Since 1968, Aremac Heat Treating has been a dependable, one-source manufacturing facility for parts and assemblies. 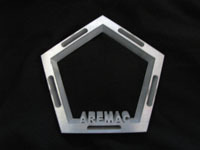 At Aremac, we have wide experience in metal forming and fabrication. 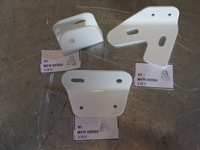 We fabricate parts for aerospace, defense and private industries all over the world. Because we have such a wide range of equipment and processing capabilities, we can complete your project on time, within specifications and on budget. No matter what your requirements, a small production run or a contract for several thousand, AHT can produce high quality parts at a competitive price. 5 Axis CNC Machining Capabilities. 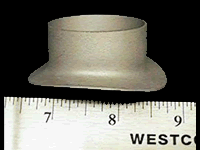 We use rubber pad hydroforming to fabricate complex shapes. 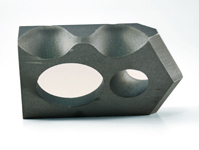 The hydroforming process simplifies tooling, which lowers the cost and gets your parts to you fast – when you need them. This highly controlled and precise process is our specialty. AHT provides finished titanium parts and assemblies for commercial aircraft, spacecraft, military, high-performance and stealth aircraft. Your aluminum and titanium parts can be hot formed or joggled per specification quickly and accurately using your tooling or ours. We are using the latest in brake press technology to ensure end product quality in forming of complex parts with parallel and non-parallel flanges. 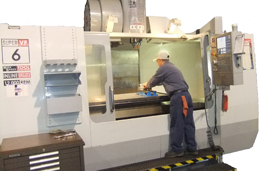 Our 3 and 5 axis machining centers can handle parts and tooling up to X=64" Y=32" Z=30". 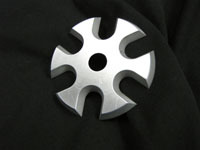 Our 5 axis waterjet cuts precision parts fast without distortion. We can accept your CAD files for rapid turnaround. This all important process is performed in-house to insure that quality and scheduling demands are met. Our Staff metallurgist, in-house lab, and over 30 years experience ensures that all of your parts are "treated right". Diffusion bonding is a solid-state joining process capable of joining a wide range of dissimilar materials without the need for melting (welding) and with minimum distortion. AHT can diffusion bond parts up to 6' long in our specialized equipment.